I’m excited to share I’ll be at ASICS Greater Manchester Marathon Saturday Meet Up talking about my wild running rambles and mind ninja tips, alongside some incredible speakers ….. Vasso Alexander, Claire Lomas, Susannah Gill, Brendan Rendall, Paul Addicott and so many inspiring people…. 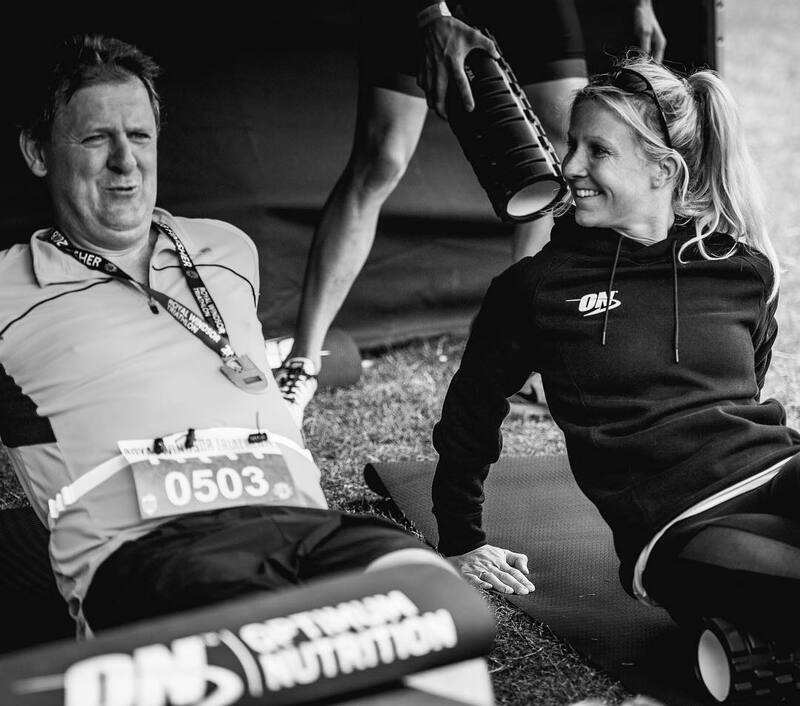 I’ll then be sorting out your recovery fuel, stretching, any niggles and celebrating as you cross the finish line this weekend with Optimum Nutrition. Do come and say hello and/or if you have any questions for any of the Spring marathons or events, mindset, injury prevention, what to wear, eat, how to run as a rhino or whatever…please do get in touch and ask. Huge support, I believe in you 100%, pace, adapt, relax, focus, believe. Coach Kim and 10 marathons, 1 ultra, #himalayan100 and a cheeky Ironman – £85k for charity. Read my 26.2 tips here to help you with any Marathon or running race. Save 20% off Optimum Nutrition products, click here. For Speaking requests and workshops to book Kim please email us.